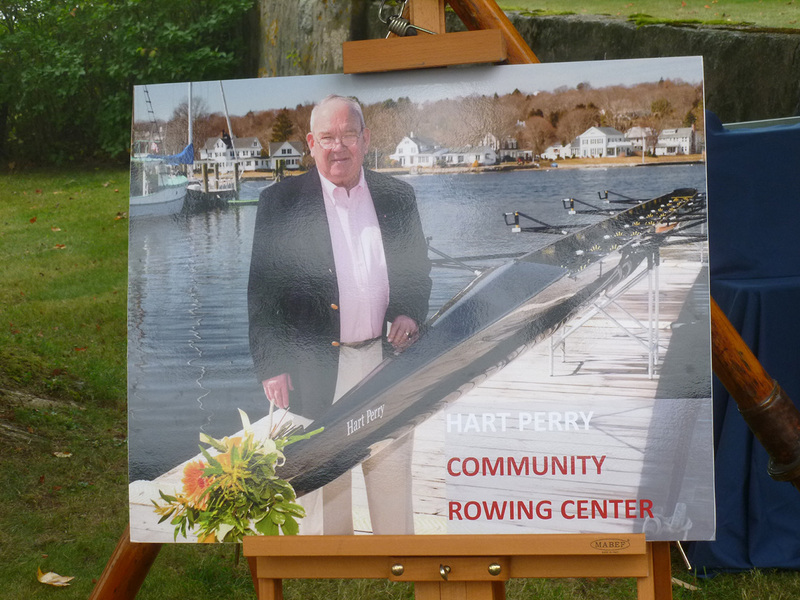 The Hart Perry Community Rowing Center Capital Campaign has started. 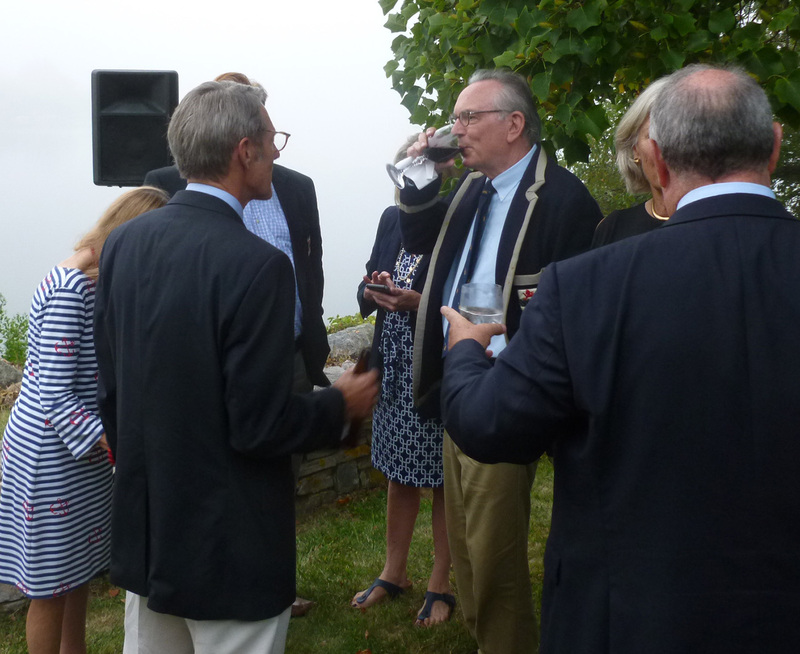 Göran R Buckhorn goes to a fundraising event in Stonington, Connecticut, and remembers a special advocate for rowing. Hart Perry was a remarkable man. I had only been on American soil for a few weeks when I first met Hart. I cannot remember exactly what we talked about for those couple of minutes at the 2000 Coastweeks Regatta, but I walked away being a volunteer for the National Rowing Foundation (NRF), an organisation I knew almost nothing about (and who knew that they took volunteers?). But that was the power of Hart. You couldn’t say no to him, nor did you want to – you wanted to help him. In his company, you were always on equal terms, however insignificant your rowing career and background in the sport had been. Hart never did anything for himself, he only helped others – a true rowing advocate. This would be clear in the early days of February 2011. 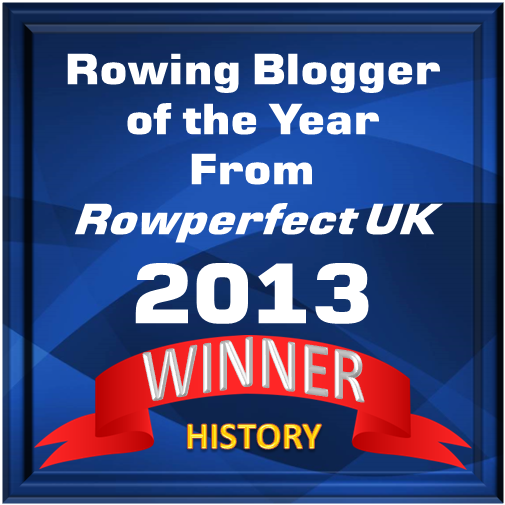 When Hart died on 3 February 2011, the rowing world trembled. From the local rowers on the Mystic River to the regional rowers in New England, from the American rowers on the national level and the staff at USRowing Headquarters to the Stewards at Henley and the mighty members of FISA’s Council – the rowing world suddenly stood still. Praise for the man but also for what he had done started rolling in from the entire world. Hart had truly touched many people’s lives, from his early days as the coach for Kent School to his last days as Executive Director of the NRF. Just before he passed away, Hart received both USRowing’s Distinguished Service to Rowing Award and FISA’s World Rowing Distinguished Service to Rowing Award. Now the time has come for rowers and the community to give back to the memory of Hart. Hart Perry – the man and his legacy was celebrated on this evening. 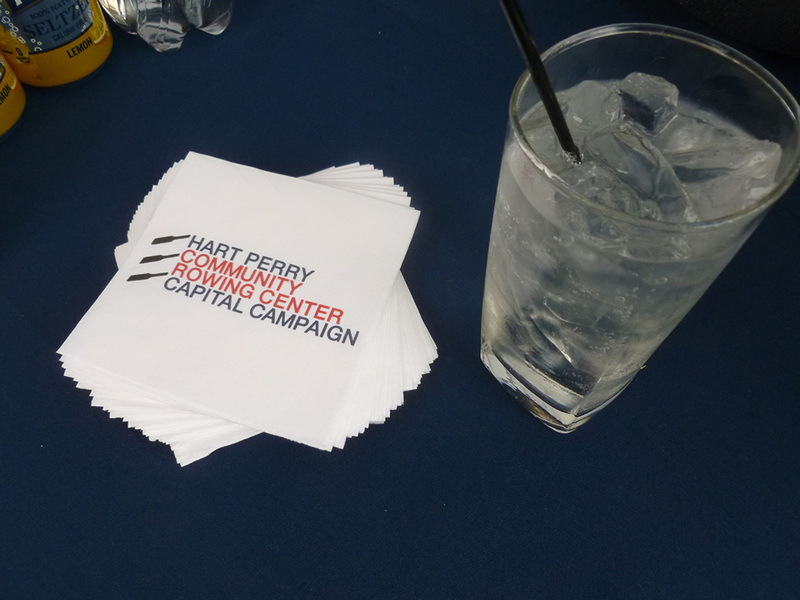 Last Saturday was the start of The Hart Perry Community Rowing Center Capital Campaign. 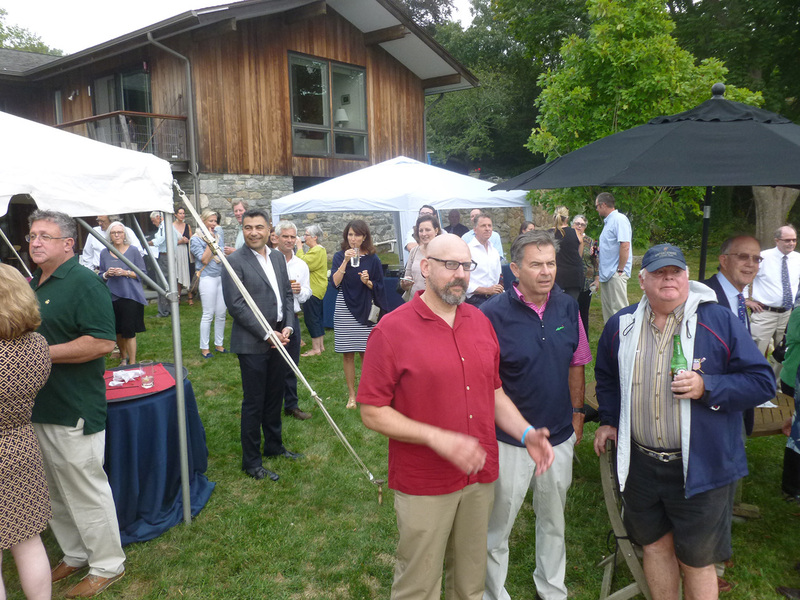 Around 100 specially invited guests – local and regional rowers, old rowers whom Hart had coached at Kent School, one Olympic rower, old friends of Hart’s, politicians, dignitaries and one rowing historian – had gathered at the house of Rob Simmons, first selectman of Stonington (Connecticut), and his wife Heidi Paffard Simmons, who is an active rower, to kick off a $2.5M campaign. The campaign was recently founded by The Friends of Stonington Crew, a support organisation of Stonington High School Crew. There are three aims for the project: to build a boathouse, to create a location for the Stonington High School Crew and its equipment, and to provide training and rowing programs for the community. The center will offer year-round recreational, competitive and adaptive rowing programs for all ages. Rob Simmons welcoming the guests. The event began with host Rob Simmons welcoming everyone to his home. To give an idea how it could look on the Mystic River when The Hart Perry Community Rowing Center (HPCRC) will be built, Simmons pointed out to Quanaduck Cove, the body of water by his house, and there, coming out from the evening fog, were some watercraft, led by Heidi Simmons in a single scull, followed by a canoe, kayaks, a paddle board (with a resting dog in the front) and another single. Quanaduck Cove gives a mini-taste of how Mystic River can look when the Hart Perry Community Rowing Center has been build. Of course, also some boats from Stonington High School came out of the fog, eagerly and enthusiastically coached from the microphone by host Simmons. The crews were met with warm applause from the guests. 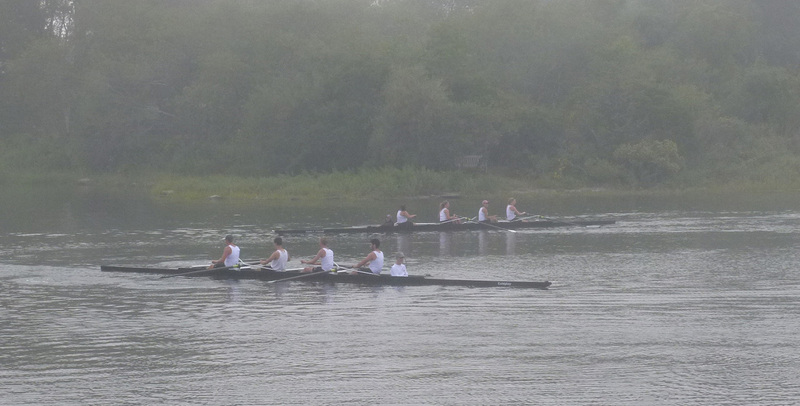 Crews from Stonington High School coming out of the fog. Guests looking out on Quanaduck Cove to see the Stonington crews row by. Thereafter, followed some speeches from people involved in the campaign. 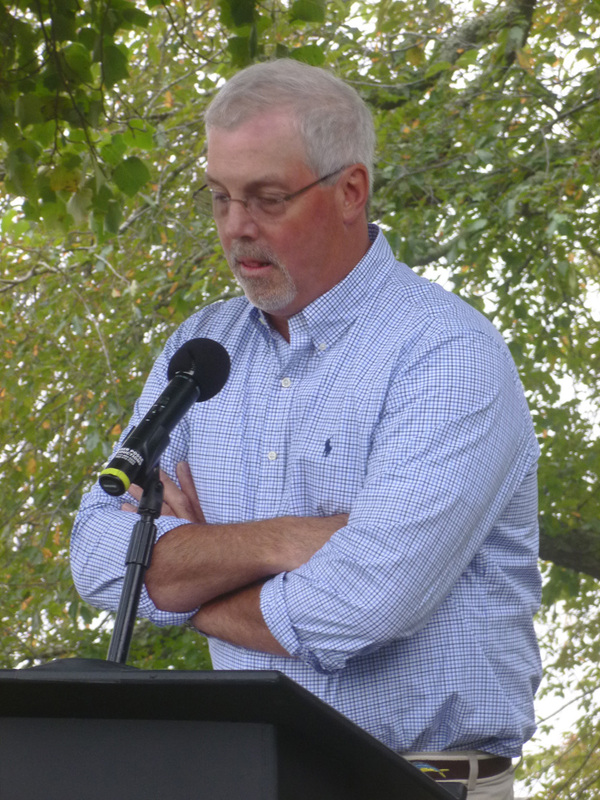 Director of the Stonington High School Crew Mike O’Neill told the attendees about the high school rowing programme, how it had started as a tiny sport which had now almost grown out of proportions. The Friends of Stonington Crew has raised about $75k per year and is planning to raise $100k this year to fund the programme, which covers 95% of the team’s expenses. Right now more the 90 youths are involved in the programme. Since the programme started in 1997, many students have continued on to good colleges on rowing scholarships. 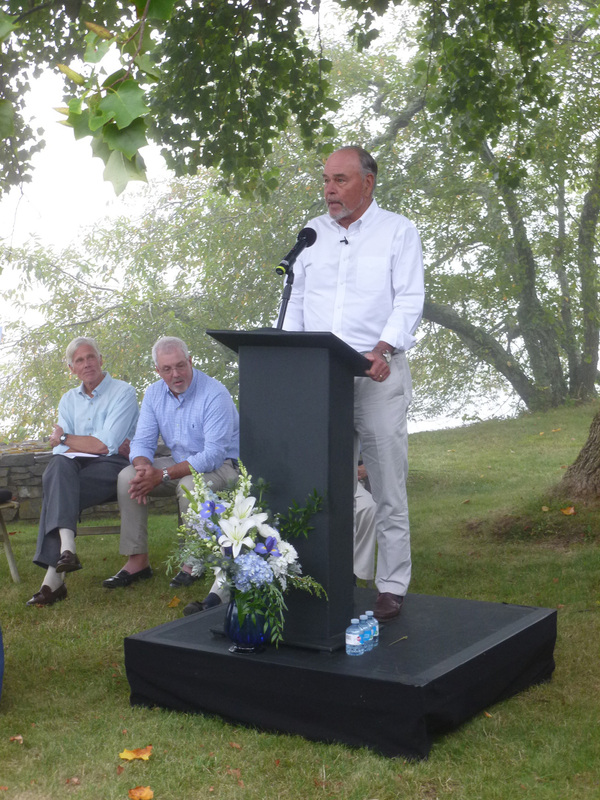 ‘Mystic River is a unique body of water,’ O’Neill said. Mike O’Neill, director of Stonington High School Crew. 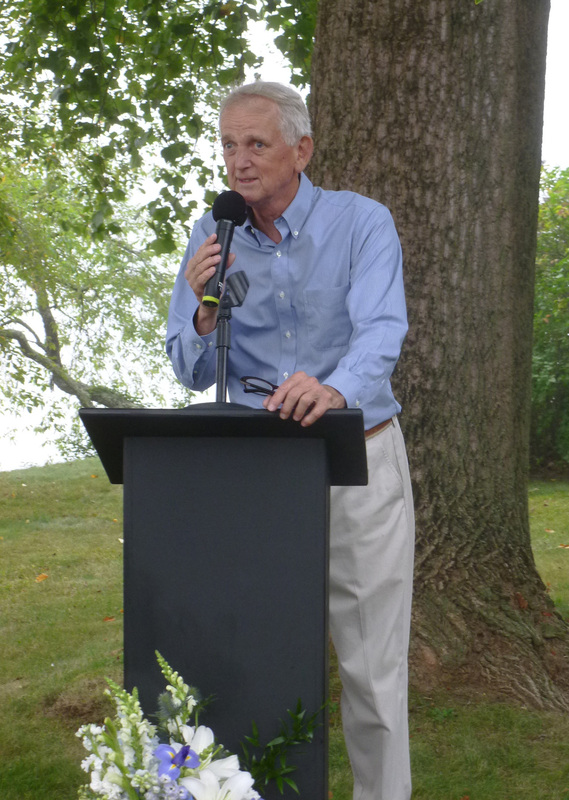 Tom Sanford, a member of the campaign committee and an old friend of Hart’s, who has spent many hours rowing on the Mystic River, told the attendees about the water activities on the river and what this waterway had meant to Hart after he and Gill had moved to the area. Gill Perry Millsom, widow of Hart and honorary chairperson for the campaign, expressed gratitude to see so many of her late husband’s friends gathered this evening. 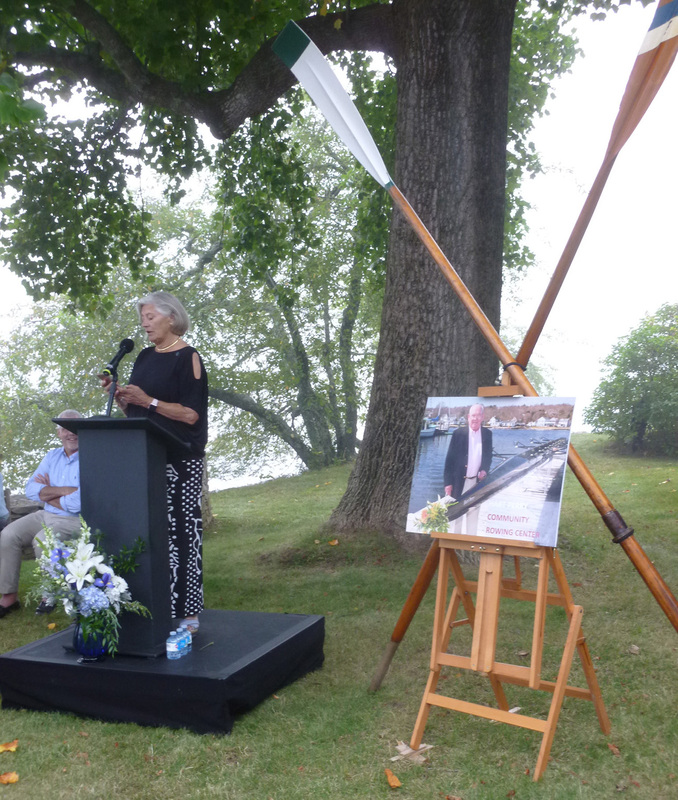 Hart had seen early on the great potentials that the Mystic River had to offer, she said, and it had been his dream to make the river a rowing center. He was involved in Coastweeks Regatta, which was established 26 years ago and in The Battle Between the Bridges, which Hart created in 2002. For the Grand Finale of the evening, the campaign committee had invited Steve Gladstone, famous and successful coach at Yale University, whose crews earlier in June had won all three races against Harvard. Gladstone pointed out in his speech how important rowing as a sport can be for today’s young men and women. Whatever they learn in a boat will follow them throughout their careers and lives. Hart’s boys from Kent School. On the left is Frederick Elliott and on the right is Rick Rinehart, author of “Men of Kent”, in which Hart plays a significant role. Members of the campaign committee reminded the people, who had gathered at the Simmons’ house, that there actually were two campaigns that had started this evening. One that handled large donations, over $1,000, which will be taken care of by Rick Larkin, who is a 40-year veteran when it comes to professional fundraising. The second campaign is ‘digital’, for amounts under $1,000. And when it comes to donating money, Gill Perry Millsom reminded everyone of Hart’s own words when it came to raising funds: ‘There is no such thing as an insignificant gift’. To get more information about the Hart Perry Community Rowing Center and how to donate money, please click here. The Stonington High School Crew with host Rob Simmons. Photo: HPCRC Facebook page. On HPCRC Facebook page, here, you will see a short video from the evening – yes, there are some shots from a drone, too!